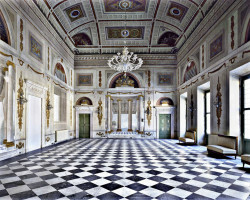 Why Private Dinner at the Palazzo Ducale? 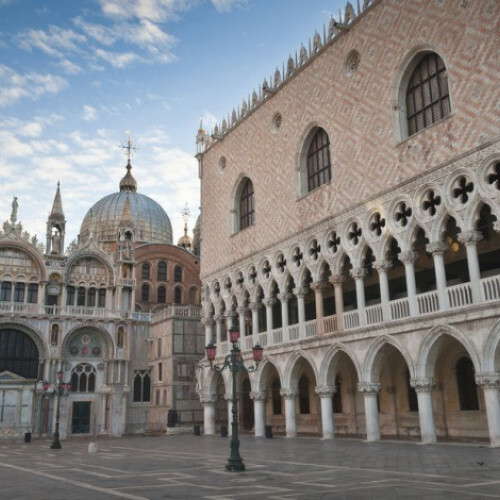 This private dinner takes you inside the 11th-century Gothic masterpiece that is the Palazzo Ducale — in English called the Doge's Palace. Think of it like this: the ancient rulers of Venice were basically gangster rappers in sweet-as fur cloaks and pointy caps called Doges, and this place was their thugz mansion. It is lush. All those canals around it are actually filled with Tupac's tears. Doges don't live there anymore. Nowadays it's one of the most celebrated museums in the world, which obviously means you shouldn't miss it. But seeing just the museum is like going to a Michelin Starred restaurant and only nibbling on an entree. Booking in for a private experience? The full course meal plus dessert. What makes a private dinner at the Palazzo Ducale special? How many times have you visited the exact same tourist sites as everyone else? Ah yes, those glorious days spent standing in lines and battling for elbow space. Your post-visit souvenirs included a cup of your own disappointed tears and a t-shirt that says ""I went to Italy and all I got was the same Instagram photo as everyone else."" Well, not this time my friend. Book this private dining experience at the Palazzo Ducale and you'll get to share your elbow space with the best kind of travel companions. Namely, peace and quiet. Oh — and access to jaw-dropping things the regular tourists don't get the privilege to see. Your guide is an Italian count who takes you into all the restricted areas of the palace. 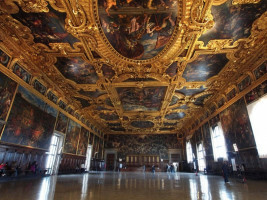 You'll explore the Doge's personal apartments, presided over by statues of the gods Mars and Neptune, and walk over the Bridge of Sighs, which got its name because the convicted would sign their last breath of freedom on it before being sent to prison. And once you've explored all the Da Vinci Code-worthy secret corners of the palace, settle into a candle-lit dinner where you'll feast like a king. Or even better, you'll feast like a Doge. Thug life.